When you hire a real estate professional to help you sell your house or buy your next home, you are actually hiring their broker for the services. In the State of Texas, the agreement signed for real estate services, is between the broker and the client. The real estate agent has been given authority by the broker to facilitate the transaction and represent the client. Each broker has to define to their agents the scope of responsibilities and actions they can perform on behalf of the broker. Brokers not only have certain obligations and fiduciary duties to their clients, they are also responsible for the actions of their agents. Brokers go through additional training, for example, in State of Texas, a broker must have 4 years of experience and have successfully completed certain number of transactions before they can take the test to become a broker. Obviously becoming a broker is a choice, many real estate professional opt to work for other brokers and don’t want the additional responsibilities and do a great job servicing their clients. 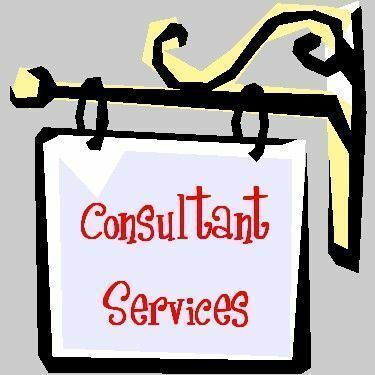 As for agent vs. consultant, the legal obligations to the client remain the same whichever name you call yourself. However, in my humble opinion, every real estate professional should act as a consultant for their clients. They should be competent and respectful of their client’s wishes and provide the market knowledge, facts, figures, stats, tools and resources that would give their clients the insight they need to make sound and educated decisions. I guess the best analogy I can give is to compare it to news reporters, a report’s job is to report facts and not inject their own personal believes in to the news they report, similarly these professionals should always consider what is best for their clients. Yes, you (Mr. or Ms. REALTOR) might like living in the suburb because it fits your needs but don’t expect all of your clients to want to live in the suburbs like you, your focus should be really on what they want. I would also like to explain who is a REALTOR, a designation used by many real estate professionals. REALTOR is the registered trademark for members of the National Association of REALTORS, who also belong to a local Association of REALTORS. REALTORS, have to abide by restrict code of ethics giving them additional accountability to their clients. And as there are many ways these professionals may appear to the public, there is also an important distinction in how the public is viewed and treated by them, as I explained in one of my previous blogs, Client vs. Customer. So next time you are talking to a real estate professional and might be thinking about hiring them, ask them how they see themselves! And that might give you some insight as whether or not they are the right professional for you.